A small historical town on the west coast of Peninsular Malaysia, Malacca sure has a lot to offer in terms of its lively culture. In Malacca, there’s not only much sightseeing to do, there is also a lot to eat. Apart from its famous Nyonya cuisines, Malacca has other types of food as well. 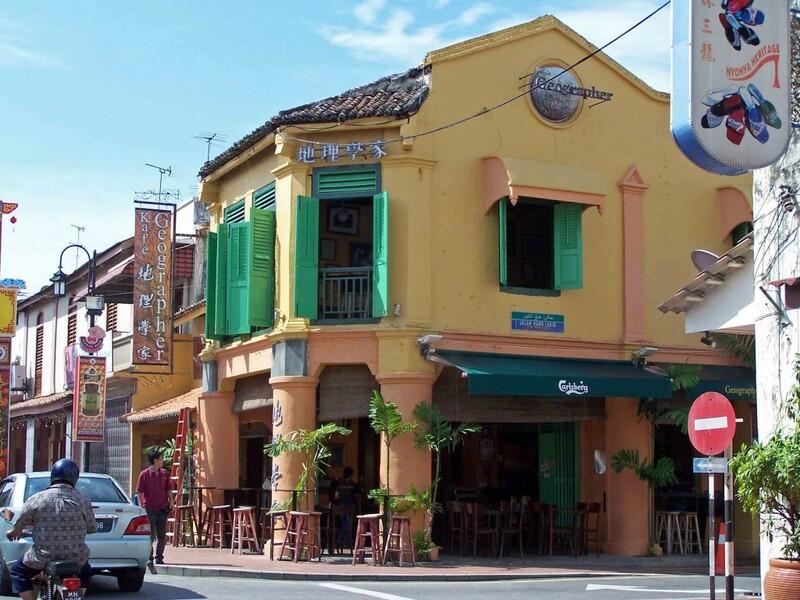 With a great variety to choose from, it may be difficult to find the best places to eat in Malacca. Hence, we’ve prepared a list of the best places to eat in Malacca to make things a little simpler for you. 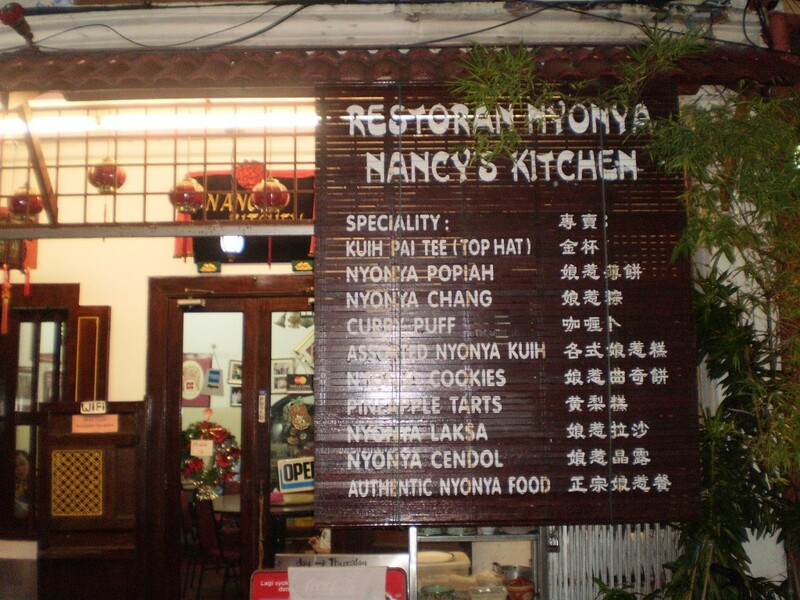 Being one of the more well-known authentic Nyonya restaurants in Malacca, Nancy’s Kitchen is currently operated by the 3rd generation of the family. Nancy was taught to cook at a young age without recipes in their concrete forms, so the food was all based on her experience in the kitchen where she used to help her mother. Nancy’s Kitchen offers a great variety of Nyonya food which features Nancy’s unique cooking methods. If you’re wondering what types of meat are on the menu, there’s beef, pork, chicken, duck, fish, crab and prawn, all cooked with a harmonizing mixture of herbs and spices. Other than that, there’s an assortment of vegetables, Nyonya-style bites like the Pie Tee, Otah-Otah, Lo Bak, and also an array of Nyonya desserts. Popular among Malaccans and non-locals, Nancy’s Kitchen sure has many signature dishes to offer its patrons, one of it being the Pie Tee. Pie Tee is a top hat-shaped crispy cone, with sliced jicama fillings inside, topped with bits of omelet, shallots and coriander leaves, finished with chili sauce. A combination of the crispy shell and juicy vegetables is complemented by the flavours that they produce together. Originated from the Hainan province in southern China, the Hainanese Chicken Rice is actually poached chicken and rice cooked according to the Hainanese method. The fragrant rice is made with ginger and garlic, but water is substituted with chicken broth instead. Although chicken rice is found almost everywhere in Malaysia, it’s served differently in Malacca. In Malacca, chicken rice is rolled into balls known as chicken rice balls, and Hoe Kee is one of the more popular restaurants in Malacca that serves this type of chicken rice. Besides poached chicken, Hoe Kee serves Assam fish as well, which has garnered a lot of positive feedback from customers. To many people, the juiciness of Hoe Kee’s fresh chicken is worth the long queue on weekends. The quality of the chicken is just the base, but the sauce drizzled on the chicken and the scrumptious rice balls of Hoe Kee, are the things that make this plate of Hainanese Chicken Rice complete. Most Malaysians like to eat their meals with condiments, hence many customers prefer adding more flavour to each mouthful with a special chili sauce made for chicken rice. For those who are looking for something local but not specifically Malaccan, Geographér Café that’s located on Jonker Street may be right for you. Established in 2000 in its pre-war building, this café boasts an interior that contains traditional elements. Patrons who want to dine here can choose to sit inside or outside, but be informed that it can get really packed on Friday and Saturday nights. Geographér Café is more known as a place that serves alcoholic and non-alcoholic drinks, but it serves food that’s relatively delicious as well. One of the advantages of this café is that customers can sit as long as they want while they enjoy the weather and the passersby. It is unlike a lot of restaurants here where you sit at a table just to eat and leave right after because of the never-ending crowd. This café serves a fusion of local and Western food while offering vegetarian options. Its well-received dishes include curry and veggie ramen, Tempeh and Tom Yam Coconut Soup. If you prefer something meatier, the Satay, Mango Thai Chicken, Cashew Nut Chicken and Black Pepper Chicken are great options as well. Although this place does not serve red meat, its food choices are galore, making it hard to decide what to eat. 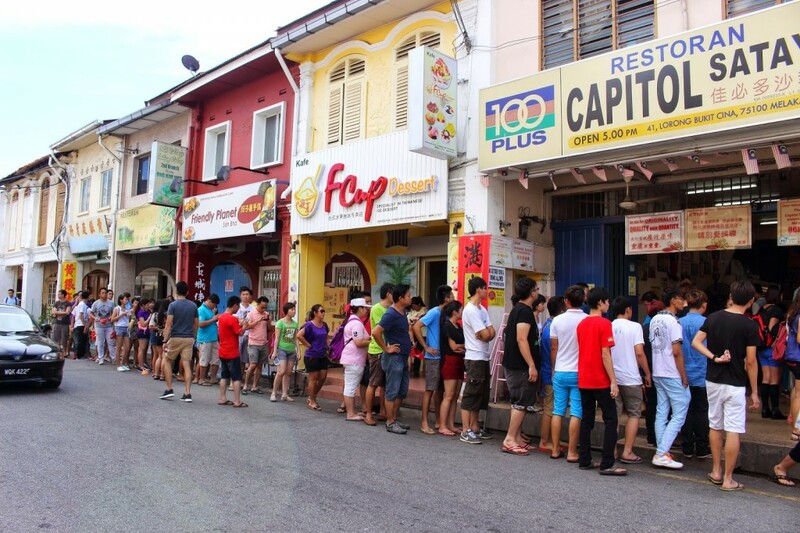 During peak seasons before it begins operating at 4pm, a line starts to form outside the one and only shop worldwide – Capitol Satay. If you don’t like waiting in line, it’s a better idea to arrive around 3.45pm so as to avoid the crowd. Satay Celup is similar to “steamboat” in Malaysia, where food is dipped into hot boiling soup until it is cooked. What makes Satay Celup special is that instead of soup, you’ll be cooking your food in a special peanut sauce. The sauce is made with more than 30 types of herbs and spices, which fill it with lots of flavours. Customers are free to choose their skewered food as the waiters are busy preparing the sauce for you. The food that you can find in Capitol Satay are vegetables like spinach, bok choy, ladies’ fingers; seafood like clams, squids and prawns; and a variety of “steamboat” ingredients such as fish balls, fish cakes, meatballs, seafood tofu and others, with a total of more than 80 types of selections. The Satay Celup is definitely worth a try when visitors come to Malacca. 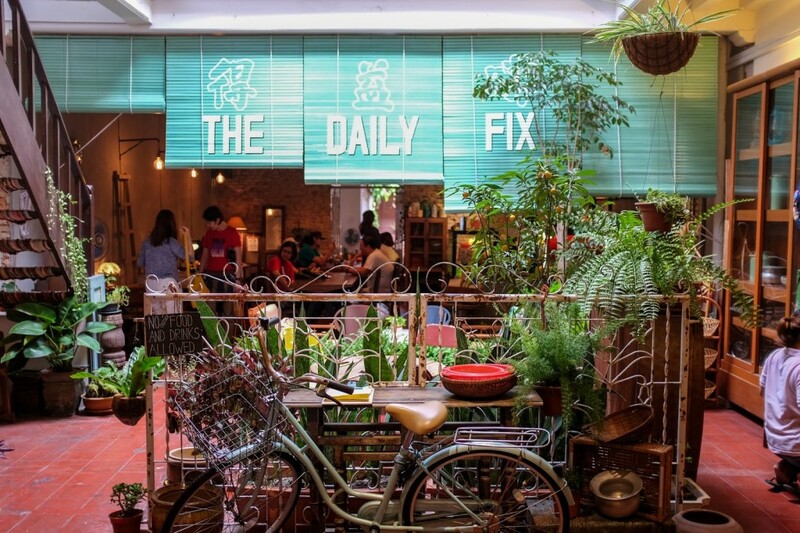 Tucked inside an unsuspicious souvenir store named Next KK Sdn Bhd, not many people will know about the Daily Fix Café if it wasn’t for the little sign placed outside. But things are changing now due to various forms of media, allowing more people to know about this lovely eatery here. The Daily Fix Café is famous for its fluffy Pandan pancakes that come with a side of Gula Melaka, the local palm sugar. Five round pancakes on a plate, warm with a touch of brown on the outside, and light green on the inside. The presentation itself is already inviting even before you dig into it. Some customers prefer to add a scoop of ice-cream to their pancakes for that extra oomph. Aside from its variety of pancakes, the Daily Fix also serves other meals such as big breakfasts, pasta and salads etc, offering great options to patrons. Of course, just like its name, you can expect a daily fix of caffeine here with the different types of coffee that they serve. 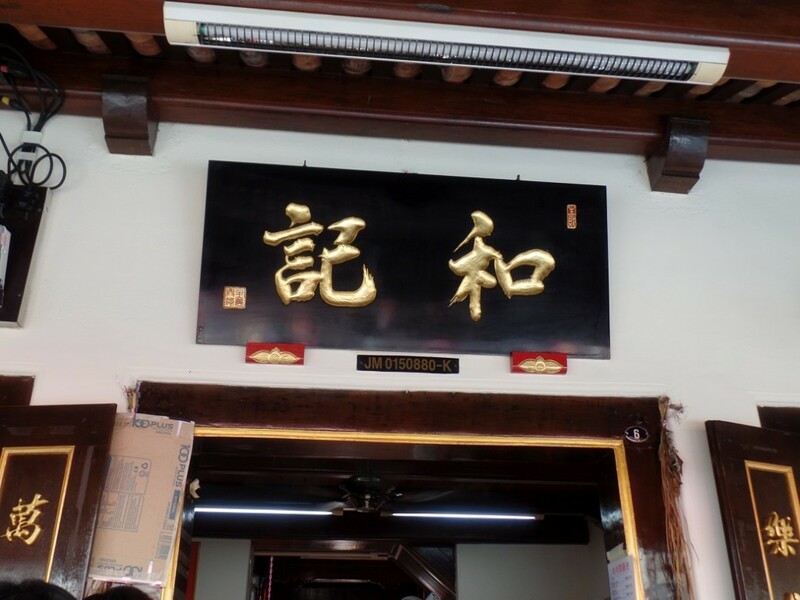 As Nyonya restaurants can be found in abundance in Malacca, Nyonya Suan remains one of the oldest Nyonya restaurants in Malacca. 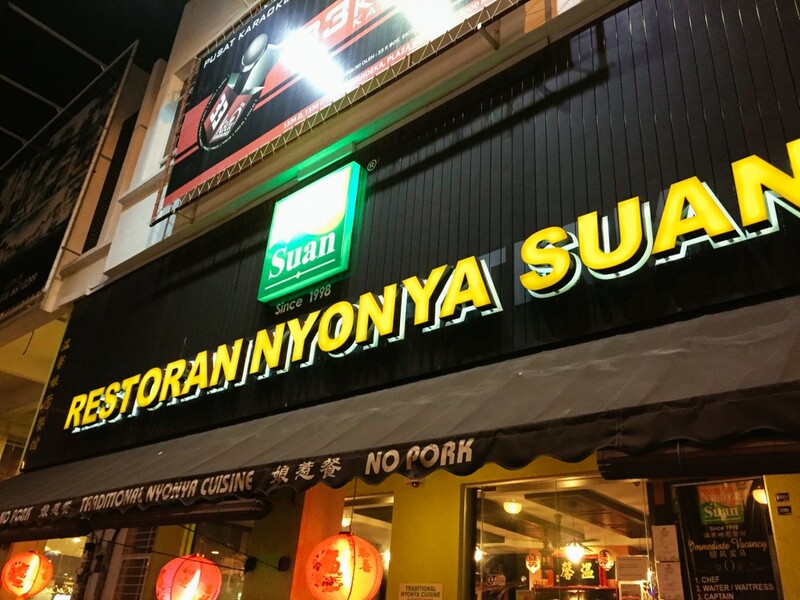 Nyonya Suan has been opened since 1998, and the business is close to 20 years old. This restaurant promises authentic Nyonya cuisine without using preservatives or artificial colouring. The chef’s recommended dish is Ikan Lemak Nanas, which is fish cooked in coconut curry and pineapple. A yellow, creamy gravy filled with flavours from the pineapple, tamarind, curry and various other spices, complete with the fragrance of the coconut milk, makes this Nyonya dish both delicious and unique. On top of that, Nyonya Suan always serves fresh fish, making the dish even more perfect. Other popular dishes here include lady’s fingers served with Sambal condiment, Assam fish, and Sotong Kunyit (squid fried with spices). For a perfect ending to your meal, the Cendol is very much recommended. This shaved-ice dessert is cold, sweet and yummy, offering you flavours that can help relieve all that spiciness. Nyonya Suan does not serve pork, and it can seat big groups. So if you’re traveling with a large number of people, it’s a good idea to stop here for a decent Nyonya meal. Burgers may be typical fast food around the world, but the juicy burgers at The Baboon House are definitely on a different level. 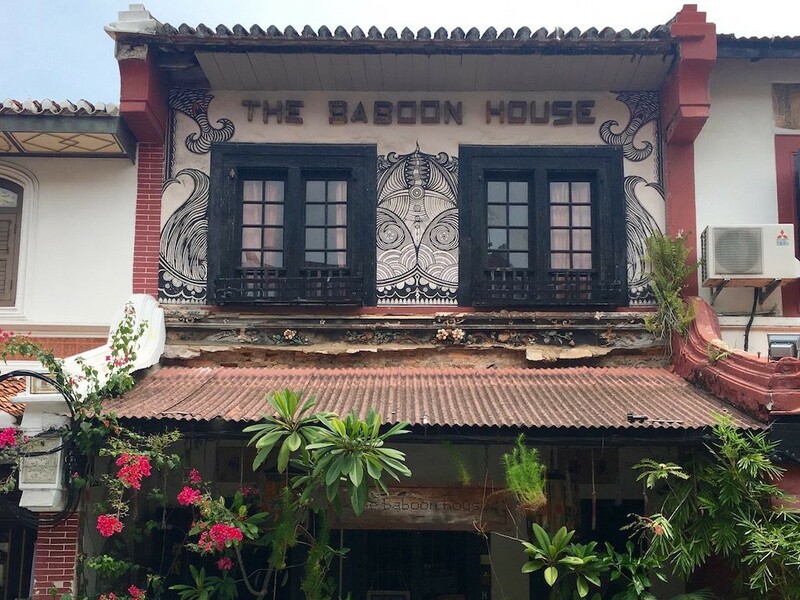 The Baboon House serves homemade burgers that carry very special flavours, uniquely of The Baboon House. There are a few rules stated at the entrance before you enter, which are no photography, a maximum of 6 people at a table, and to lower your voice when inside. The Baboon House does not only have great burgers, but its ambience is a feature that has been capturing the attention of its customers. The old-fashioned interior is comprised of walls with chipped paint, traditional tiled floor, rattan furniture and the like, giving off a very traditional yet hipster vibe to the whole café. Additionally, the plants located throughout the restaurant make it seem like you’re in a jungle. However, the calmness and tranquillity that this place offers are perfect for a quiet, relaxed dining. What has been receiving the most positive feedbacks here is the Aloha Burger. You’re allowed to choose your patty: beef, pork or lamb, which gives customers the freedom of opting for their favourite meat. The Aloha Burger has a great taste to it; from the soft buns to the juicy patty and flavourful mixture of sauces, it’s a wonderful combination. Each burger comes with a side of potato salad and wedges to complete a hearty meal. This is Malaysia’s Mall’s recommendation for the 7 best places to eat in Malacca. Don’t be afraid to try different things as it may be an unforgettable experience for you. Enjoy all the flavours that you can find in Malacca!